San Francisco, January 29, 2019—We are thrilled to announce the addition of Steve Skodak to our Advisory Board! 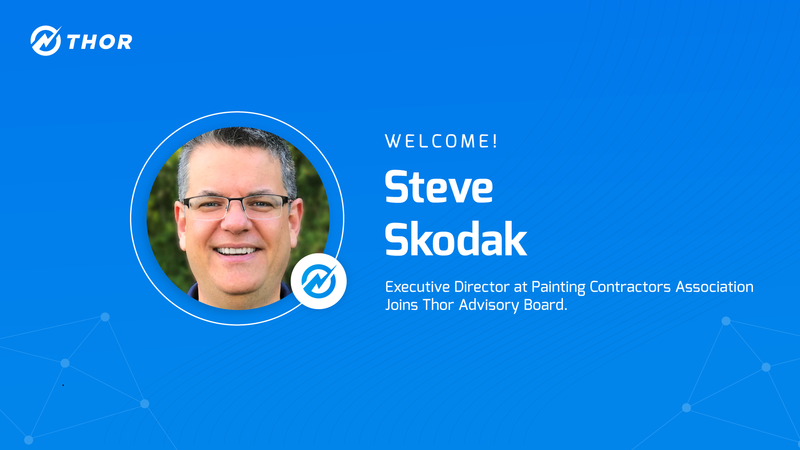 Steve is the Executive Director and CEO of the Painting Contractors Association (PDCA). Founded in 1884, the PDCA is a international trade association focused on facilitating the success of painting contractors in the North America and beyond. The Association provides industry standards and best practices for the 310,000 entrepreneurs owning painting companies. The Painting Contractors Association is recognized as a premier organization committed to helping professional residential and commercial painting contractors improve their business profitability and professional processes. Steve has served as PDCA’s Executive Director since May 2016. He is also the CEO of Legacy Fulfillment Properties, a position he has held since April 2016. Previously, he has served as the CEO of the Optimist International Foundation and the Executive Director of Crohn's & Colitis Foundation of America, among other positions. He received his BS in Communication and Marketing from Missouri State University. Steve is a Certified Association Executive through The American Society of Association Executives as well as a Certified Fund Raising Executive from CFRE International.